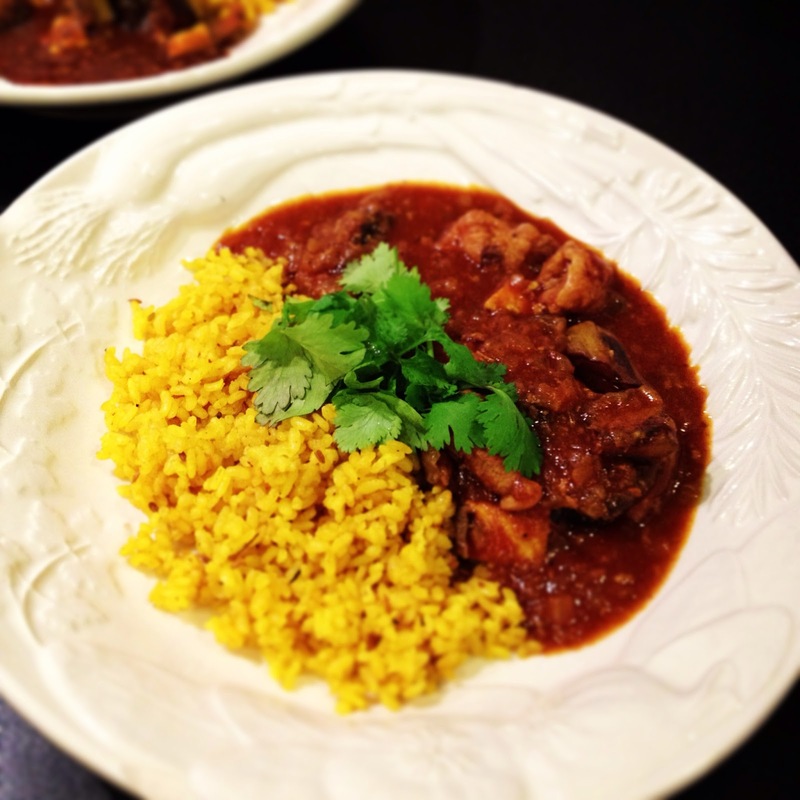 Another Curry & Rice dinner. I made Tomato-flavored Chicken & Eggplant Curry with my soup & stew donabe, "Miso-shiru Nabe" again the other night. This time, I made simple turmeric rice with my double-lid donabe rice cooker, "Kamado-san" to serve with it. 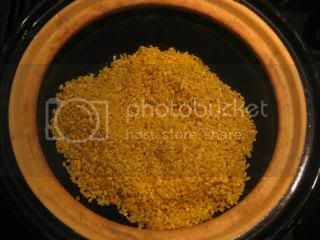 Donabe turmeric rice is even easier than saffron rice to make, and the color is so yellow and beautiful. The procedure is quite simple. 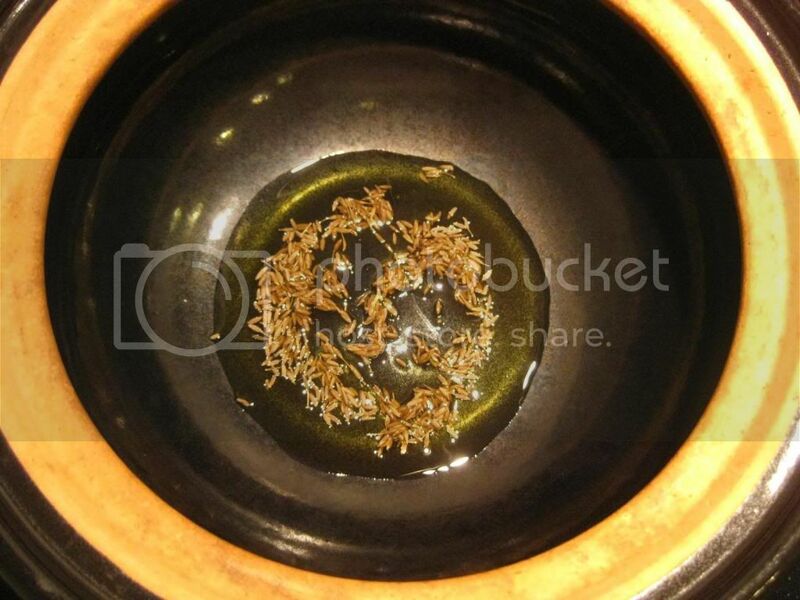 In "Kamado-san", I heat the olive oil and add cumin seeds, rice, and turmeric one by one to sauté. Vegetable stock and bay leaves are added and covered. 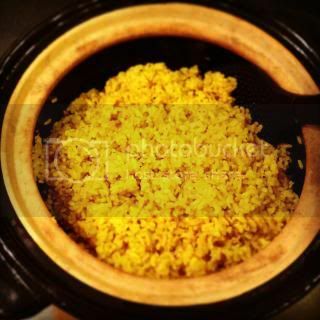 Fluffy turmeric rice is ready in such a simple process. 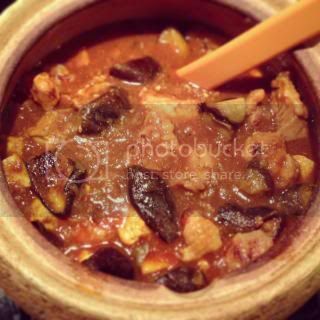 Great with summer-style chicken and eggplant curry. In "Kamado-san", heat the olive oil over medium heat. Add the cumin seeds and sauté until fragrant (about 1 minute). Add the rice and and continue to sauté until the outer layer of each rice grain is translucent. (4-5 minutes). Add the turmeric powder and sauté for another minute. Add the vegetable stock and salt. Stir. Put the bay leaves on top and cover with both lids. Cook for 12 minutes over medium-heat. Turn off the heat and let it rest (with lids on) for 20 minutes. Uncover. Discard the bay leaves and fluff the rice. 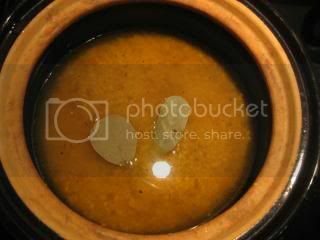 Serve with your delicious donabe curry.